Since we last spoke I have done my best to keep going, but I am realizing that it is just taking longer to recover from workouts and races. I really thought that after a few weeks being off the statin meds I would just bounce back, but that hasn't been the case. The reality of it is that it isn't just the med changes this year, or the higher than normal work stress, but really just life in general. 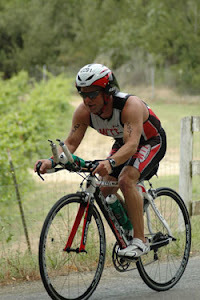 Great new race by the Greer's, and I was happy with my result. Over the next few days after that race I was more sore than usual, and ended up with a fever for the first time in several years. Side Note: My bike, Lucille, committed hari-kari on Hwy 84 after the race. She is now a beautiful road bike thanks to the greatness of Jurgen! In the past these kind of efforts, even if extreme, usually meant that I needed to take it easier for a couple of days with easier workouts. Instead what happened was that it took me more than a week to even feel like I was starting to climb out of the hole I was in. Please don't misinterpret my complaining to mean that I don't understand how blessed I am to have good health. What has changed is that as I have changed things in my lifestyle to be healthier I have slowly developed more body awareness. That sounds slightly perverted so to put it another way I know what good should feel like, and I haven't been feeling that way for most of this year. Since I know what it should feel like, I want it, and I don't want to settle for just feeling good enough. Another thing that I have learned this last few years is that it is ok to push yourself, because your body and spirit will surprise you with what they want to do. Not always can you push your mind, body, and spirit at the same time. Many of us always want to try to do it all, and we ignore that parts of us are yelling to take some down time. Which led me to not racing one of my favorite races of the year in Levelland, the Cotton Country Sprint. I was literally stressing myself out trying to make myself race, but I finally heard the words that it was ok to not race. 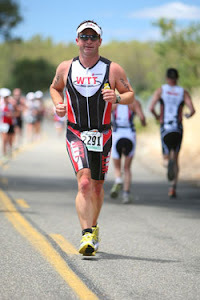 I have never been in this to win a race, or even to prove that I can do more and more each year as proof of something. Instead I feel like God has been teaching me a lesson this year to not forget how far I have come, but also to remember how fragile things can be in our lives. I ask you today to take a moment to reflect on how you feel today, and say a big thanks for the health that you are blessed with right now.